This summer has done a number on my girls hair. Between the strong California sun, daily swimming, and weekend beach trips; their beautiful hair has been rendered with the texture and feel of straw. Not to mention blonde.... ummm what!?? It just blows my mind that the sun is so powerful that their dark brown hair is sporting shades of blonde this summer, just crazy! Anyways, I found it necessary to mix up something to help combat the dryness and impart some more moisture back into their hair. I mixed together some of the most moisturizing oils that I know and blended in a few essential oils to impart even more benefits and now we have something that we use a few times a week that not only moisturizes their hair but helps to add shine while also detangling! Plus, it helps tame my crazy flyaways so its safe to say, I'll be keeping this around for quite a while! Using your funnel, add all oils to the bottle in the order listed. It is likely that you still have some room remaining at the top as I always err on the side of underfilled in my recipes so you don't end up with a mess on your hands with an overfill! Anyhow, if you have room remaining at the top, simply add more almond oil - one teaspoon at a time- until you reach the beginning of the neck of the jar. You never want to fill a bottle all the way to the brim to allow ingredients to have room to mix. Now, simply close the lid, shake ingredients together and enjoy! I should add that as these are VERY moisturizing ingredients, a little goes a long way. I typically spray 1-2 sprays in the palm of my hand and then rub into the ends of my girls hair where they need the moisture the most. I will then do a quick swipe with my palms over the top of their hair and massage their scalp to remove any remaining oil that's on my hands. Its rare that I find the need to use more than 2-3 sprays but since everyone's hair is different I would say just start with a few sprays at a time and add more as needed. 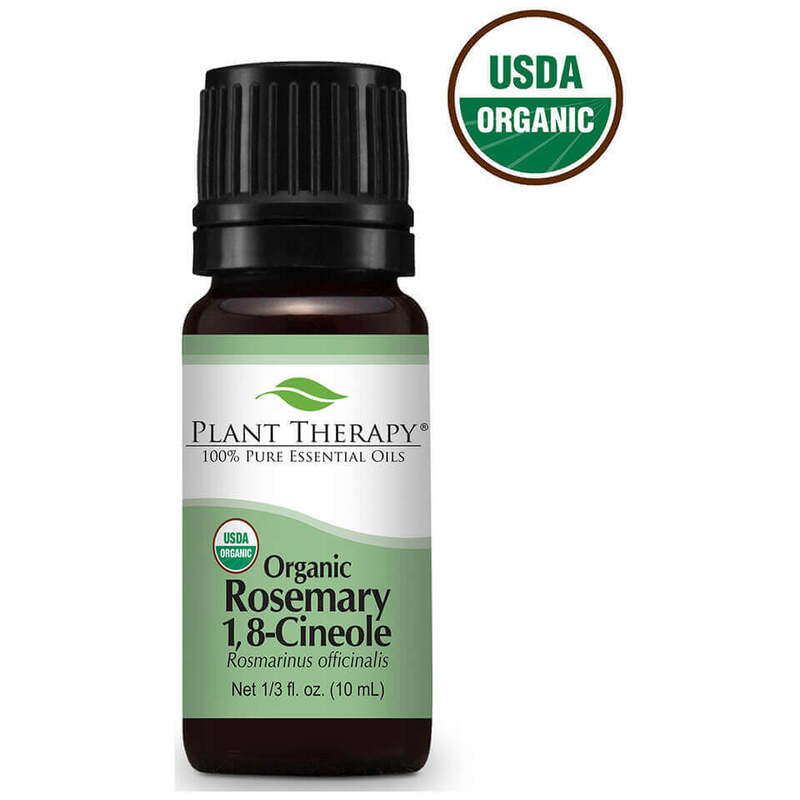 Rosemary Essential Oil - Rosemary oil not only imparts moisture to the hair, but its anti inflammatory and moisturizing properties help tame a dry, itchy scalp. Rosemary has also been shown to stimulate circulation, thereby increasing hair growth. Cedarwood Essential Oil - Like Rosemary oil, Cedarwood also has anti inflammatory properties and also promotes circulation. 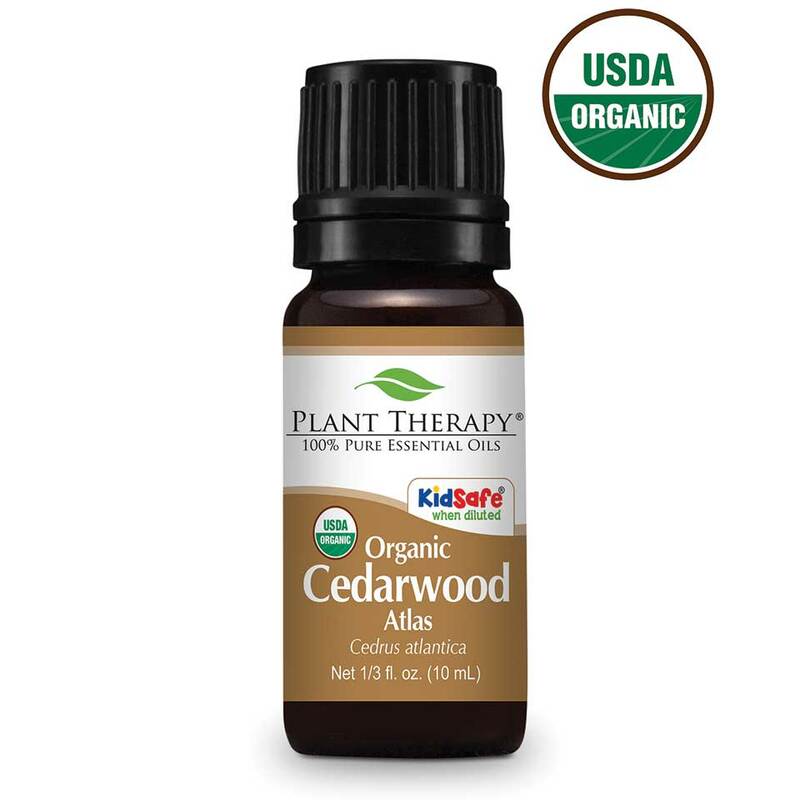 Cedarwood is known to help increase hair growth and thickness but is also a very thick and potent oil, which lends greatly to its ability to impart moisture into dry hair. 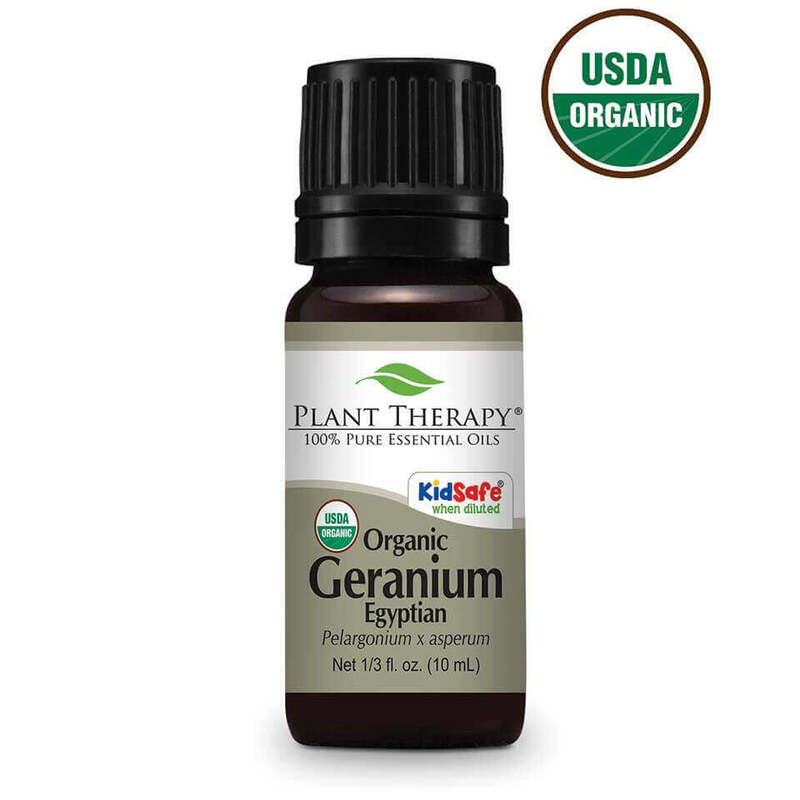 Geranium Essential Oil - Geranium also helps irritated scalps, much like Rosemary and Cedarwood do, but it also strengthens hair strand by strand. It does so by lending moisture and giving the hair a high does of amino acids- the building blocks to hair structure (ie. Keratin)! After discovering a way to waterproof/oilproof my DIY labels, I have decided to begin creating labels for all my recipes going forward. Be sure to download the labels to print at home for this dry hair oil recipe!